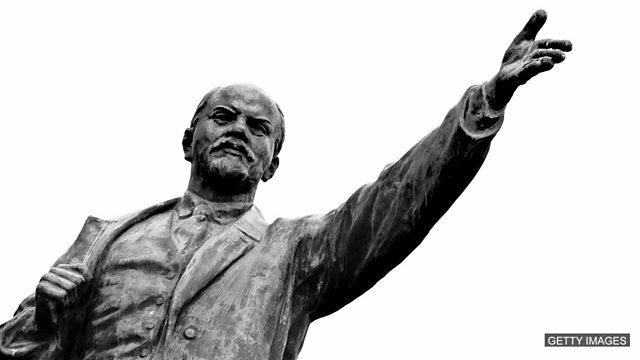 It's 100 years since the Bolsheviks took power in Russia. Neil and Catherine teach you how to use language in the news in your everyday English. The Bolsheviks took power 100 years ago and held onto power until 1991. If you use the informal expression 'to teach someone a lesson', what does it mean? Low-key events are being held in Russia to mark the 100th anniversary of the Bolshevik Revolution. Members of the communist party, now in opposition, are celebrating the armed uprising by Lenin's Bolsheviks with a march and rally in Moscow. But President Putin and his government are playing down the significance of the revolution. There are no special events at the Kremlin on what is an ordinary working day. 'He wasn't happy about turning 30, so Carlos's birthday party was very low-key'. What does this mean? 'Keiko never learns the lessons of love'. What does this mean? In the 19th century, ______ a better life led many people to leave Europe for the USA.